Pick up from your hotel in Beijing at about 9:00am in the morning. Then the driver will drive you to the Badaling Airport. The Great Wall is one of the greatest man-made wonders over the world. It was built as an ancient military defense project which was actually worked in the history. It integrally preserves all the material and spiritual elements and historical and cultural information that carry its outstanding universal value. 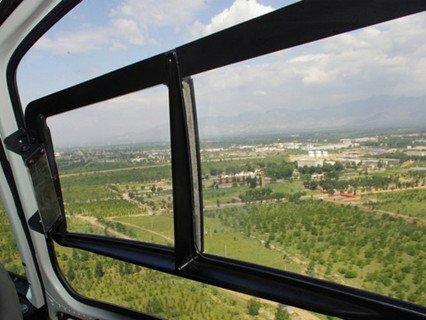 You will take the helicopter to have a bird's eye view of the Badaling Great Wall and surrounding scenic areas for 15 minutes. Have lunch. In the afternoon, you will visit Badaling Great Wall. After the tour, the driver will drive you back to the hotel. There are two flight routes, you may choose either of them. 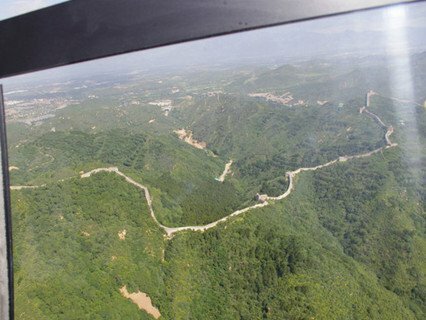 Route 1: A more detailed aerial tour of Badaling Great Wall, including the Hero Slope, South Peak, North Peak, beacon towers, Wengcheng etc. 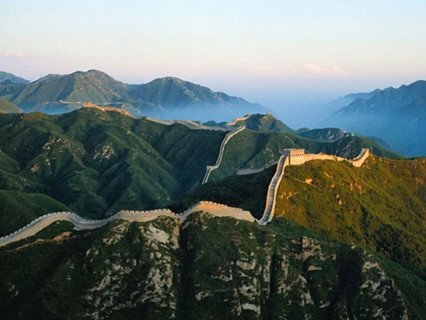 Route 2: An aerial tour of Badaling Great Wall, Kangxi Grassland, Wild Duck Lake and Guanting Reservoir. 2. The helicopter can carry 4 passagers at most each time. 3. The aerial tour lasts about 15 minutes. 5. It is advised to book this tour in advance. So our tour operator will arrange it for you and confirm your flight date. 6. Your flight will be changed or cancelled in case of force majeure, such as weather conditions, air control etc. 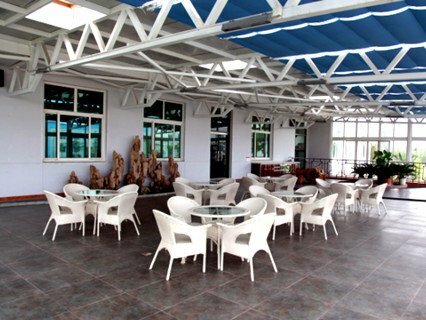 Our tour operator will inform you as soon as possible. 7. Make sure your physical condition is OK for the aerial tour. People who are suffering from heart disease, Hypertension, Cardiovascular disease or other diseases are not suggested to take the tour. 2. Pick-up and drop-off fee from your hotel in Beijing. 5. One typical Chinese Lunch. 6. Entrance fee of Badaling Great Wall. 7. 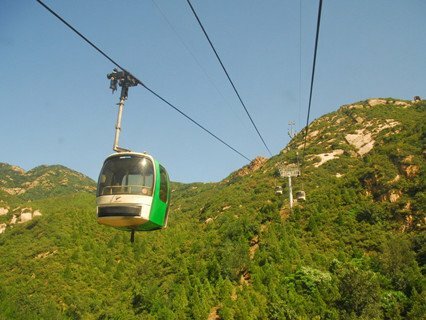 Round tickets for Badaling Cable Car. 1. Passengers should check in 40 minutes before scheduled departure time. 2. People required to produce a valid passport or a copy. 3. Prohibited to take the inflammable article easy to explode on board. 4. Prohibited to take weapons and other dangerous items on board. 5. Camera and video to be labeled anti-flash before boarding (in case affected the pilot's control). 6. During flight, prohibited peeled off anti-glare film for photography without permission. 7. Prohibited to take photograph in front of the helicopter strictly before boarding until the plane took off before beginning photography, and fasten your seat belts. 8. Obey the instructions of airport service personnel, prohibit do any activities outside the specified region. 9. For propeller in rotation, be careful not to close the head or tail of helicoper, boarding within the specified channel. 10. Airfoil whirling will produce strong winds, the passengers should pay attention to your hats and scarves, ladies pay attention to skirt. 11. Passengers should pay attention to your head and foot for security when boarding. 12. when boarding, service personnel will designated seats, please follow arrangements. 13. To ensure security, please fasten your seat belt immediately after boarding until the plane landing. 14. Passengers aboard the helicopter model can not be specified. 15. 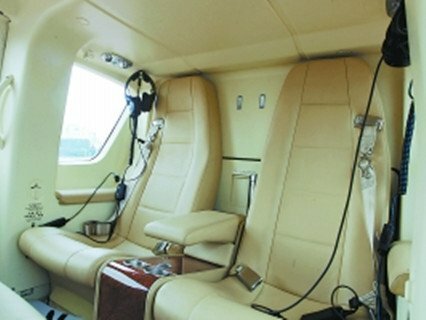 In the cabin of helicopter can not touch any power switch and the door handle in order to ensure flight safety. 16. 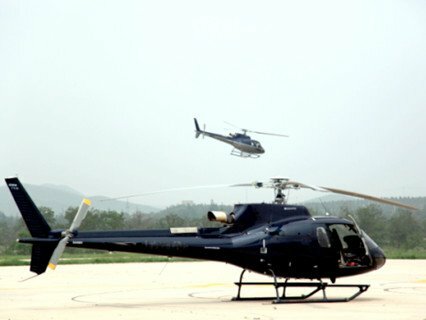 After the flight, visitors can take photos in front of the helicopter, but the photos only can shoot by the airport staff. 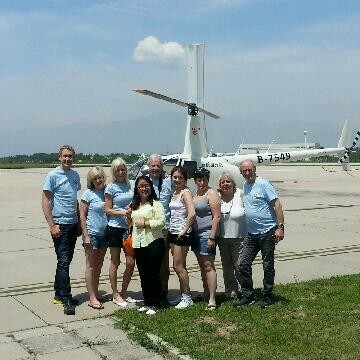 We took a Great Wall Helicopter Tour in Beijing, what a great bird view over the amazing great wall of China. 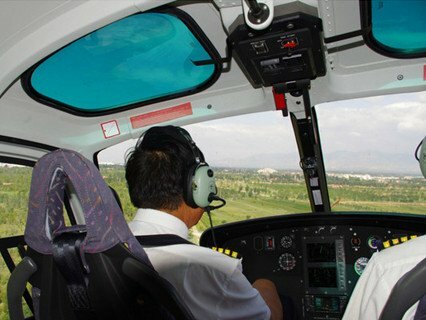 more..
Enquiry : hi,I want a helicopter tour of Great Wall,please confirm , Sunday or Monday? Enquiry : i - was looking at the helicopter tour. Is it available for the 17th? What are the route options? And would the tour guide be english speaking. What is the total price for two people? Thanks! Reply : . Sorry, the helicopter is fully booked in Oct. would you like to book common tour? I look forward to hearing from you soon.